Welcome to our second guest review. Periodically, we will feature guest reviews and we will try to pick reviews for books and genres we don’t typically feature on our blog. For these posts, we will be picking books that our guest contributors have rated as among their favorites. We hope you that you enjoy these reviews and they lead you to pick up something new that you could also love. I’ll hand it off to Regina who will introduce herself and share one of her favorite non-fiction books. Regina: Since I’ve been asked to share a guest review, I guess it goes without saying I’m a voracious reader. I simply cannot remember a time in my life in which reading was not a major part of it. What might be unusual is that as a teenager I read exclusively in the non-fiction historical genre. Then, an English teacher assigned His Enemy, His Friend by John R. Tunis and the world of fiction opened up to me. Today I continue to read non-fiction historical work, historical fiction, dystopian novels, works by non-Western authors, and classics. As you can imagine, since I started off adoring history, I went on to study history in college and planned to teach high school history. However, living in rural Texas at the time, it was highly unusual for a school district to hire a history teacher that wasn’t mainly a coach. The only sport I know well enough to coach is gymnastics, as I was a world-class gymnast in my younger years. 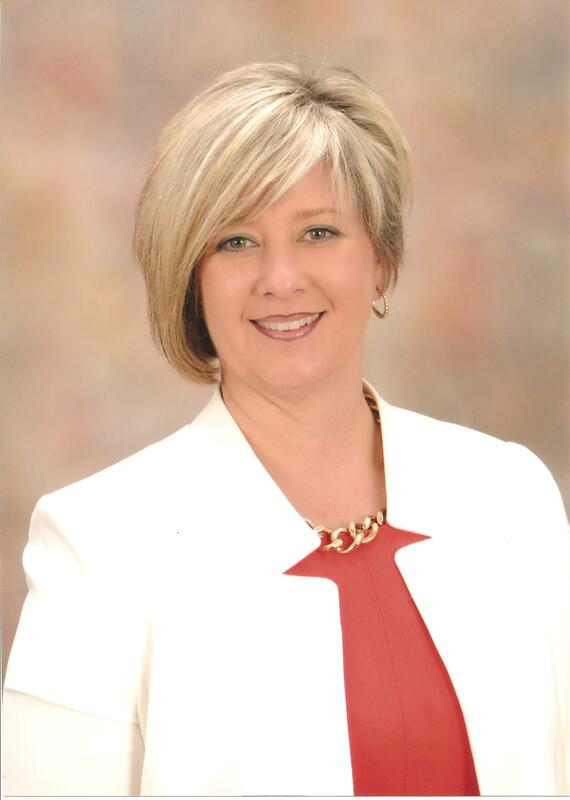 So, my career path went the way of the non-profit/public sector where I’ve been honored to serve my community as its mayor and am now in the economic development field. I still adore history. The areas that most interest me are WWII, American history, Middle East, and British. I lead a group on Shelfari entitled, Chronological Read of American History in which we are reading biographies of the presidents in chronological order. We are currently on Calvin Coolidge. I’m sharing a review from a book that covers a very little known aspect of WWII: a British program that had women serving behind enemy lines and dying for the Allies. Here’s an example of how little awareness is out there on the subject. In my job I have the privilege of traveling extensively, including international travel. During a trip to Germany, on a weekend between meetings, I visited Dachau Concentration Camp. Without giving away a spoiler in the book below, there is a plaque at the concentration camp dedicated to an event in the book. The tour guide, who was incredibly knowledgeable in all other aspects of the tour, pointed it out, recommended anyone interested in the subject read Jackdaws (referenced below in my review), and quickly moved on in the tour. As we walked away I began talking to him about the historical aspects of the subject. He took us all back to the plaque and asked me to share what I knew. He then asked what non-fiction work he could read in order to be more effective on future tours. This is the book I recommended. For anyone here interested in the subject I would also recommend viewing the six part series on Nora Inayat Khan on YouTube. It can be seen at here. Regina’s Review: Great Britain formed the Special Operations Executive (SOE) as a reaction to the Panic of 1940 in order to execute espionage activities behind enemy lines. In 1942, Col Collin Gubbins received unofficial authority to send women into combat zones as couriers. It was believed Nazis would be less likely to bodily search women and women could devise logical explanations as to why they were on the move whereas men were routinely searched and conscripted. Women were so successful in their roles as couriers that eventually the decision was made to send them in as wireless operators as well. 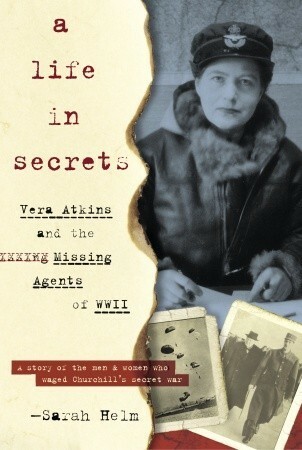 Helm focuses on the life of Vera Rosenberg, aka Vera Atkins, one of the original members of the SOE. She rose through the ranks from a secretary to become a handler of the women eventually sent into war. Vera’s rise in the organization is unlikely not only because she is a woman, but she was a Romanian national, which was an enemy of England and a Jew. Vera came to know each woman and sent them off personally as often as possible. At the conclusion of the war, Vera undertook a one woman mission to learn the fate of each agent lost and secured honors for their deaths when possible. But, Vera was a complex woman herself and eventually questions emerged regarding her motivations towards these agents. It is hard not to be attracted to the stories of the women who served the SOE. As one put it to Helm during an interview, “Just that they were fascinating creatures. To be prepared to do what it was they went to do.” (pg. 63). My first introduction to the women of SOE was reading Jackdaws about ten years ago. I have tried to read more about these fascinating women. Most of the literature focuses on salacious aspects of some of the women’s lives. To date, this is the best work I’ve read covering this topic. Helms does a great service by adding to the annals of history a work that looks critically at the organization responsible for the lives of the brave women. Further, Helm, with great respect and sensitivity, honors the lives of the women who willingly gave their life under horrendous circumstances to advance the cause of her country. Finally, Helm painstakingly, almost parallel to Atkins’ mission for each of her ‘girls’, uncovers a fascinating life that Atkins, quite obviously, intended to be left uncovered. I don’t know that I would recommend this work for everyone, but to the WWII enthusiast this is a must read. If you are also interested in strong woman characters in history, I think this is a good read. The agents, although playing a smaller role, are absolutely fascinating. One of the most interesting cases is Nora Inayat Khan, who is technically a princess by lineage and her brother studied music under Stravinsky (sorry, but The Firebird is my all-time favorite ballet, so this got my attention). Nora was the first female wireless operator to be sent behind enemy lines and her tale is particularly harrowing. It is hard to tell whether Atkins is, herself, a heroine or not. Helm gives the reader an abundance of evidence regarding this woman for each reader to draw his or her own conclusion. Maybe the best answer is she was a very complex woman. That is what makes her, after all, human. Want a chance to win a kindle copy of this book? One lucky, randomly selected reader will win a copy of this book. To enter simply comment on this post to let us know you want to enter the raffle. The winner will be selected on July 15 @7pm EST and will be announced in a separate post so make sure to check back at 7pm tomorrow for the winner. Wonderful review, Regina. I really enjoy nonfiction accounts of very specific events during WWII that are less well known. And, glowing recommendations from you always weigh heavily when I decided whether to add something to my TBR. This one is for sure going on! I hope you enjoy it. I certainly leaned a lot. Great review, Regina, and I have to just say I love your photo!! You look fantastic! Brilliant and beautiful! !